a continuation of the WWF project. The trials will focus on sponses of marine life to MCZ management strategies. 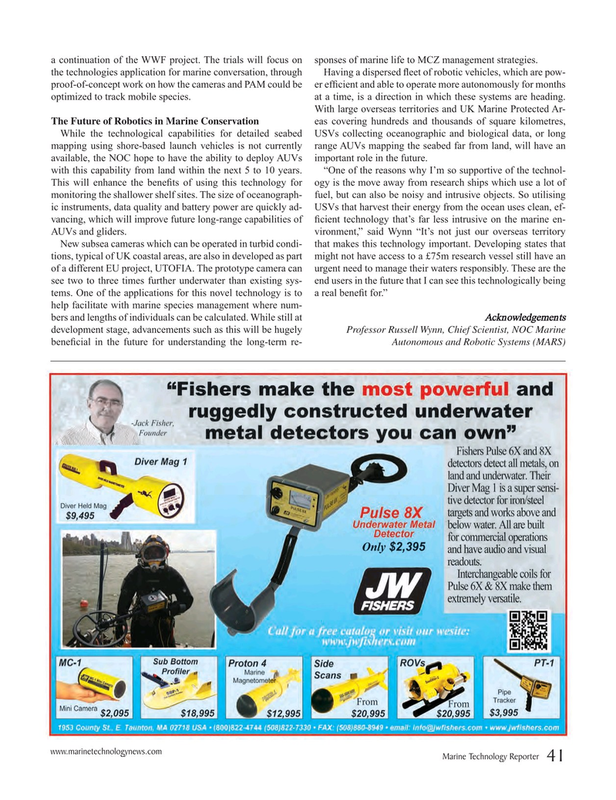 the technologies application for marine conversation, through Having a dispersed ? eet of robotic vehicles, which are pow- proof-of-concept work on how the cameras and PAM could be er ef? cient and able to operate more autonomously for months optimized to track mobile species. at a time, is a direction in which these systems are heading.